Textile printing is the process of applying color to fabric in definite patterns or designs. In properly printed fabrics the color is bonded with the fibre, so as to resist washing and friction. 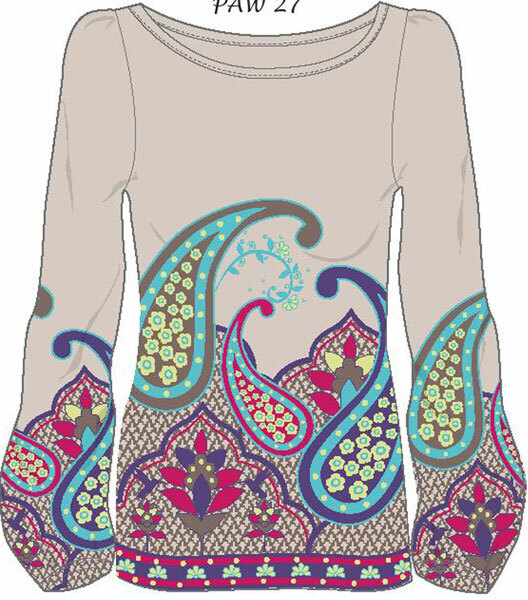 Textile printing involves the production of a predetermined colored pattern on a fabric, usually with a definite repeat. It can be described as a localized form of dyeing, applying colorant to selected areas of the fabric to build up the design. Textile Printing, like Textile dyeing, is a process for applying color to a substrate. However, instead of coloring the whole substrate (cloth, carpet or yarn) as in dyeing, print color is applied only to defined areas to obtain the desired pattern. This involves different techniques and different machinery with respect to dyeing, but the physical and chemical processes that take place between the dye and the fiber are analogous to dyeing. 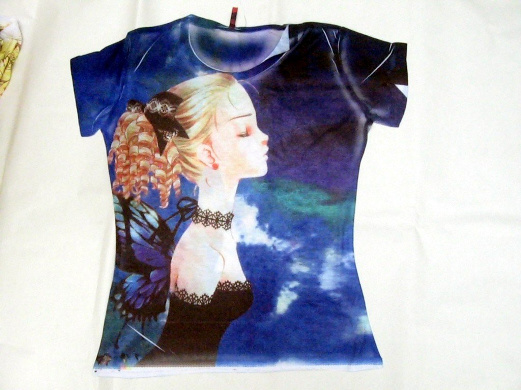 Some of the latest advances in textile printing have been in the area of head technology and ink development. This process is similar to the computer controlled paper printers used for office applications but on a complicated scale where numerous variables are managed to give you the best possible outcome on fabric. Some of the variables needed for coordination of successful digital fabric printing are files and color management, printer and RIP technology, fabric pre and post treatment processes, inks/dyes, and client expectations. 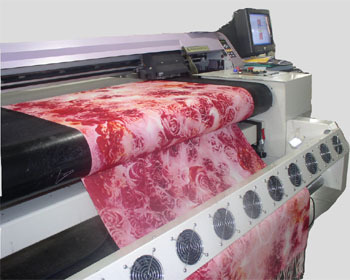 Digital fabric printing is not a direct science and there will be slight lot-to-lot variations for samples and yardage. We like to say, "our custom fabric is digitally crafted." Digital printing is more environmentally friendly than other traditional screen-printing methods because you are printing the exact amount of ink/dyes needed to print directly on the fabric through the direction of RIP/printer settings. There is minimal to no waste cleanup, which means every drop is printed on demand from the exact amount of yardage and coverage needed. 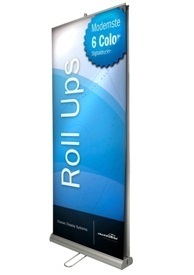 Digital fabric printing saves water and the environment. 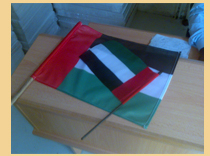 Top Worth Advertising professional quality flags are the most versatile and best value flags on the market in the UAE today. 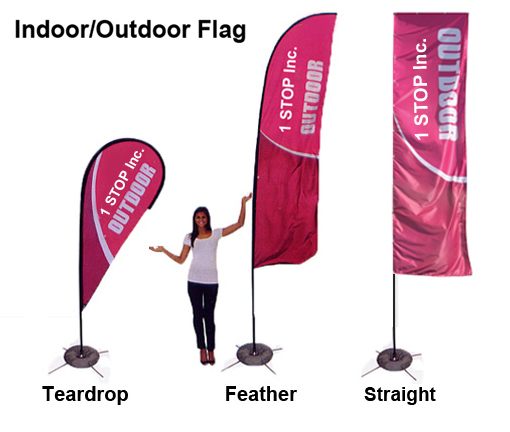 Combining top of the range materials and optimum flying weights, these flags last as well as traditional sewn flags but fly much better at lower wind speeds. 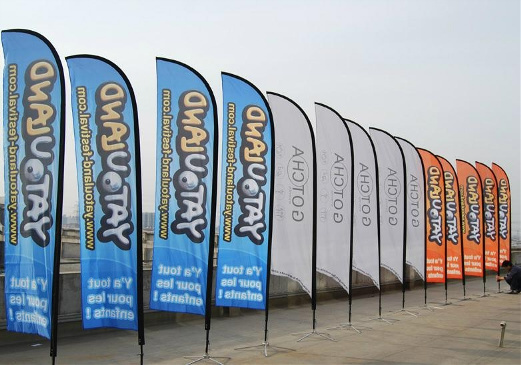 Manufactured using flame-retardant 115gsm knitted polyester and fitted with rope and toggle as standard, Our Brand professional quality flags can be fitted with metal eyelets or a sleeve at no extra charge. Please specify when ordering.